It took me more than a decade to actually go out of my comfort zone and wear things I’ve always wanted to wear without fearing what other people would think. 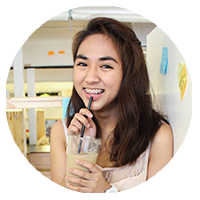 Yesterday, I told my friend how my blog began and how I loved to dress up so cutesy (or kawaii) with all the pastel-colored clothes, frilly tutu skirts, and bows everywhere and it made me realize how it’s been a while since I’ve done so. So on a boring Saturday afternoon, I’ve decided to go back to my old ways of going back and forth from the camera to our white wall. 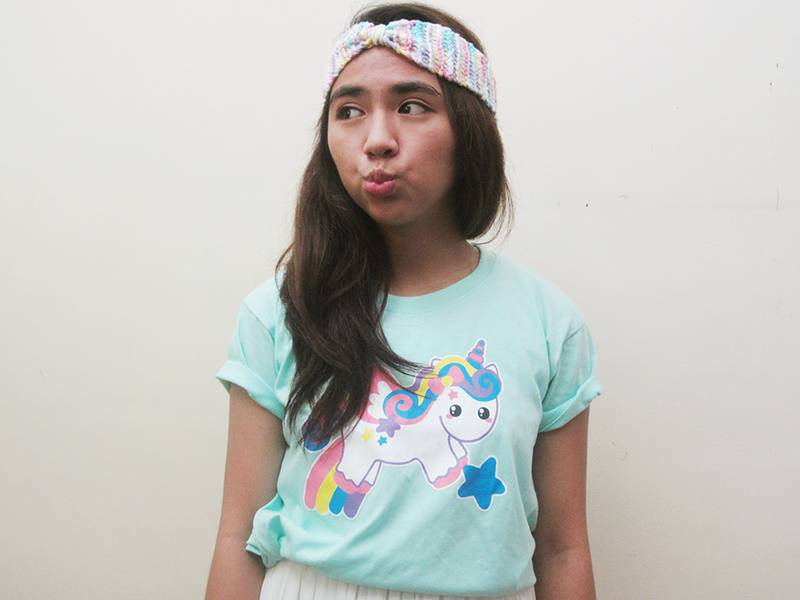 I’m wearing a super kawaii unicorn shirt I received from the sweet owners of Elle Poupee! How could I actually say no to a unicorn shirt, right? I’ve been a huge fan of their shop for years now and it’s amazing how they continue to create such creative things. You can check out their kawaii shirt collection on their Facebook page. 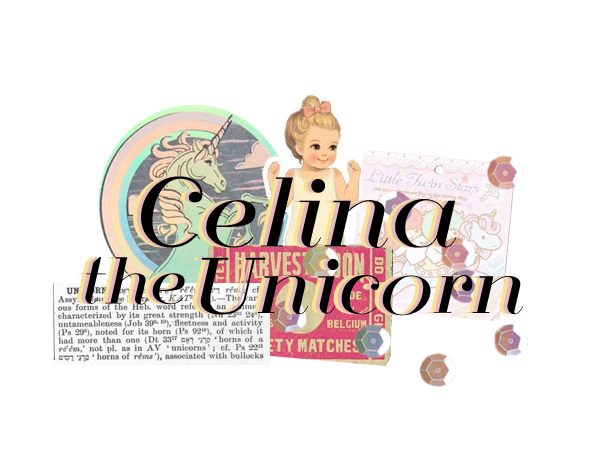 Celina Cruz is an 21-year-old unicorn who rubs off rainbow glitter on the people she hugs and sews hair bows for a living.